So I visited here on 14th of february 2019 the plan was to stay but however I checked out early. Overall the experience of the stay was quite dissatisfactory, first of all we requested for an early check in around 10:00 which was delayed till 12:20 reason being given that you have requested for a queit room. Then, the room we selected was the one with a king size bed and bath tub, but due to the unavailability of rooms we were given 2 queen size beds knowing that it was for counple then also. Apart from this, the mini bar was also locked and while checking out at the reception I was asked anything from the minibar? I said it was locked and got an answer oh sorry maybe due to the wedding rush!! The service was also slow comparatively, as when we ordered for plates from the room service, instead of the plates we were given toiletaries creating a lot of confusion. Lastly, we specifically asked for a quite room, but there were constant disturbances from the other rooms as they were cleaned by the housekeeping staff. Kindly please look into it. All staff were extremely friendly and hospitable. Excellent service all round. In case someone cares for the vegetarian food, (the entire hotel serves vegetarian food only so one can eat and enjoy all food types served in the hotel anywhere) and has works in and around Vaishali Metro Station then this is the best choice to stay in the hotel “Country Inn Sahibabad”. This Hotel is pure vegetarian & good for vegetarians & Jains.. Breakfast is excellent & superb.. Stayed one night with late teens children. It’s a fabulous hotel. Only issue is the cumbersome checkout process. They will check the room before checking you out. Somewhat unusual for a large hotel chain. Had to wait about 15 min. Valuable time when you are working with a tight timeline. The Hotel is nicely maintained , one can also get a very elaborate breakfast menu . Rooms are spacious and good The only unpleasant thing I experienced is very elongated check in and check out time ...The hotel needs to bring efficiency here. The staff took 20 min for check out formalities. 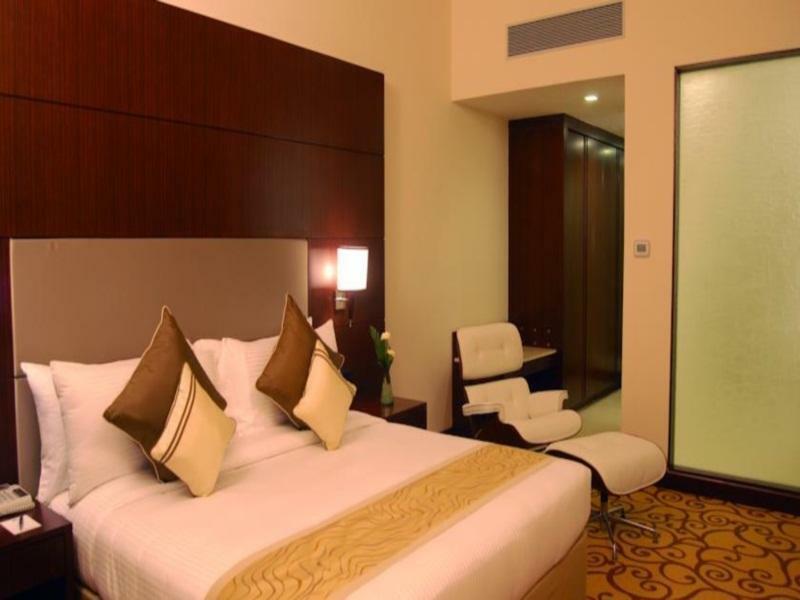 This hotel has one the most well furnished and largest room in the entire Sahibabad and that too at a very minimal rate. The food and breakfast was among the best. Rate were affordable. It tasted marvellous too. Would recommend this to family and business traveller. Despite being paid fully in advance while booking through Agoda, the hotel asked for a security deposit of Rs.3k at the time of checkin! The receipt said 'incidental expenses'! It did not even say , 'Refundable security deposit'. Mr.Ali at the checkin desk continued to argue. May be for a handful of unscrupulous customers they are treating all guests as thugs! I would never stay with this group in future and anyine with some self respect should avoid this group of hotels. excellent buffet lunch and dinner, good staff and nice ambience. The stay at the hotel was very nice and comfortable. The food was excellent, though vegetarian only but huge variety of every thing and very nice sweets and deserts. Overall excellent hotel and i would recommend all to try atleast once. Excellent place to stay. Was difficult traveling into Delhi because the actual hotel is in UP. So you would have to take a rickshaw from the hotel to the border and then switch from the border to a Delhi rickshaw. The hotel itself was amazing though, the staff (especially the breakfast staff) were so nice and welcoming every morning. Booking procedure was smooth and checking into the hotel was also hasselfree. The stay was very confortable and I enjoyed my stay. It was quite pleasingly surprising to know that all Country Inn Hotels are Veg. I had a an excellent stay in Country Inn and Suites in Delhi. It has all the things I need and nearby to all necessities. The hotel has an excellent vegetarian cuisine and the spread is so varied. There are non-vegetarian choices to those who choose it. The ambiance is excellent. The location is great. 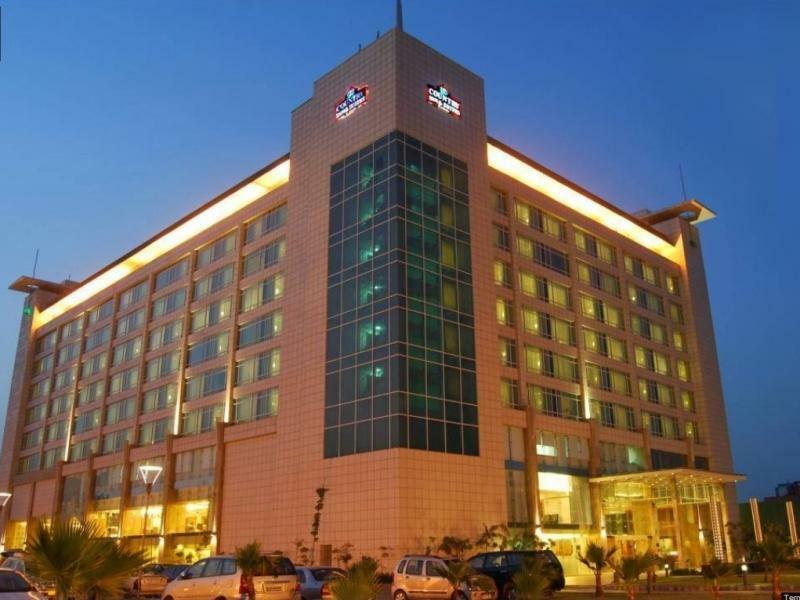 It is one of the best five star hotels in New Delhi. The hotel is a bit far from the airport, so plan accordingly when it comes to times. I recommend this hotel to all. Rooms are great so is bathing area. Housekeeping and staff 9/10. The main USP is Veg. Food thats on offer. Great variety of food and beverages in the buffet. Also look out for the new entertainment zone and bar alongside the pool. 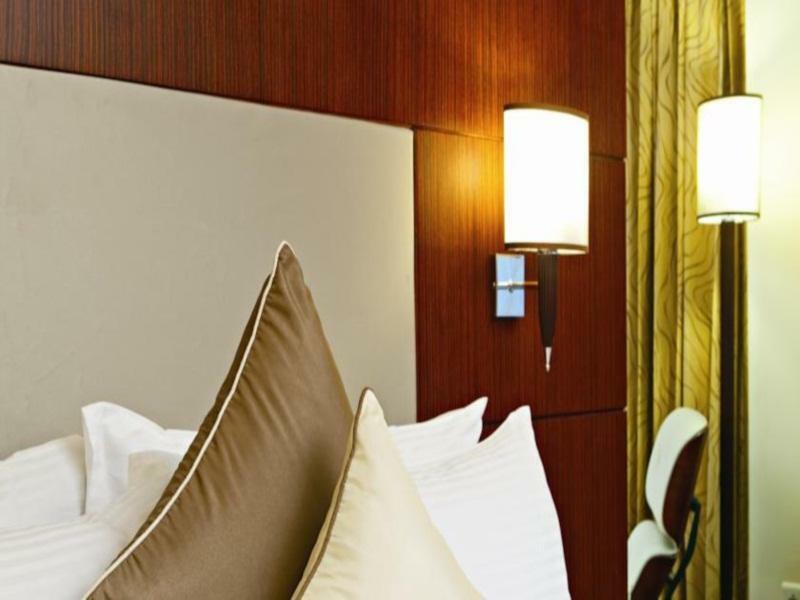 after searching around online for a hotel to relax in after weeks of vigorous work, i was overwhelmed with the idea that i would have to book some overly priced hotel that hasn't got much to offer. so when i found this online, i was amazed. i literally thought that there was some catch. even at the point of check out i was worried that they would charge us some stupid price for the buscuits we had eaten in the mini bar. to my surprise they were only it was only r in total for one night.the locality was different to what i was used to ( i always go for hotels in noida just because it is easier as i live in noida) and they are always around 6000 and dont have much to offer at all!. no the surroundings of the hotel are not good, and not beneficial for tourists as it is so far away from delhi ( the usual sight seeing attractions are all there.) however i have been living in india for a while so i knew how to get to that hotel and i was just there for rest, therefore i stayed within the bliss of this hotel. we were shocked to find out that the dinner being offered in the downstairs restaurant was so expensive, so we just ordered some fast food. what ever we wanted ( bathrobes, more towels etc) they provided to our door. 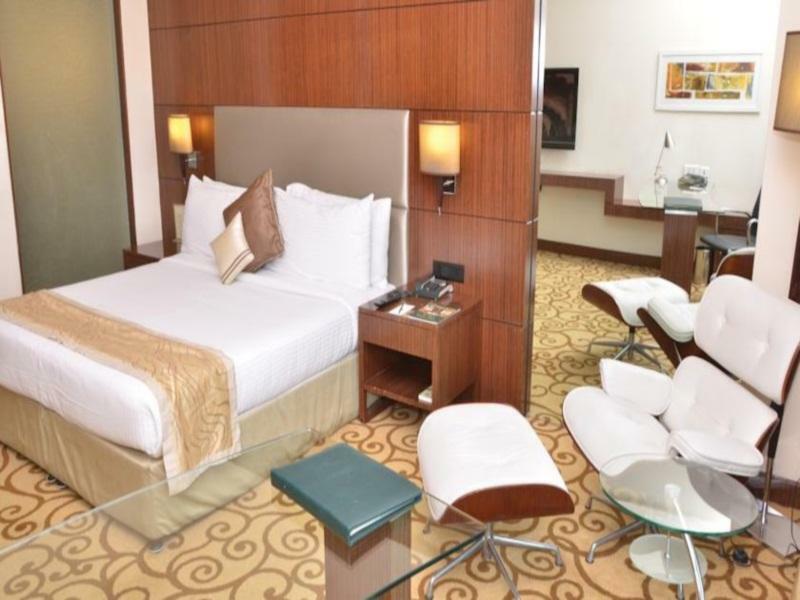 the rooms were luxury to me, having stayed in one to many bad hotels in noida. the pillows so comfy i wanted to take them home.